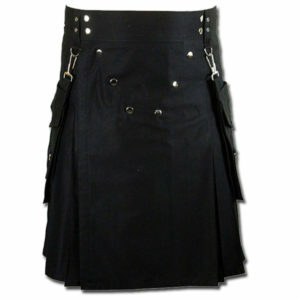 Simply a perfect version of the kilt for gothic wear loving men’s and women. 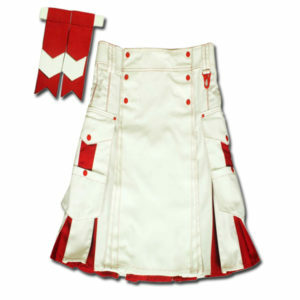 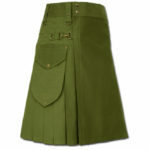 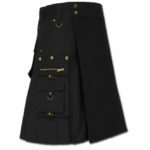 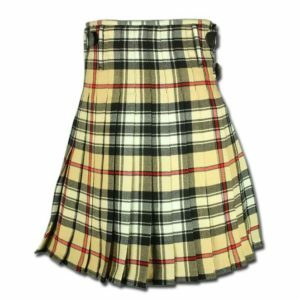 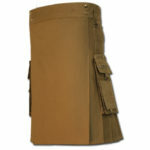 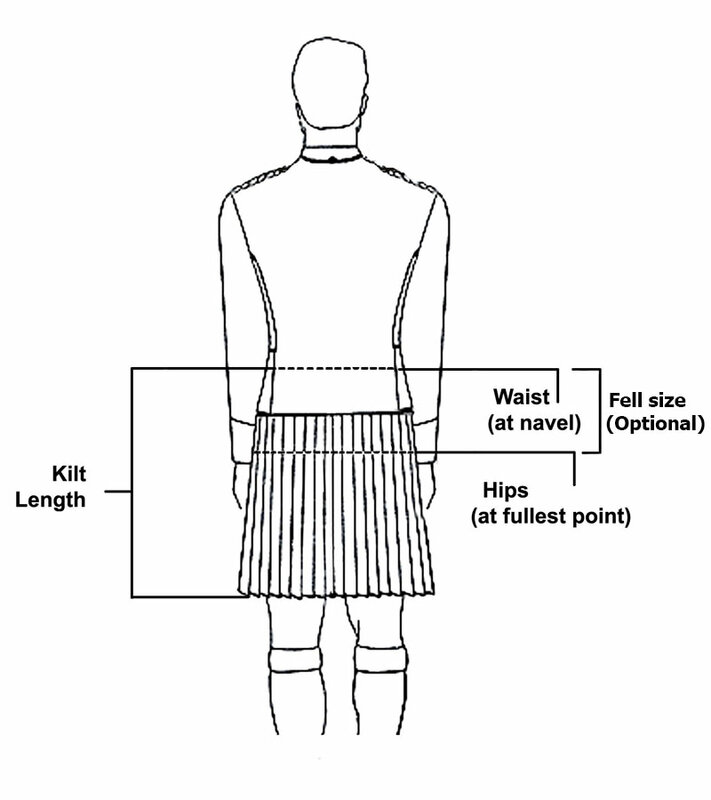 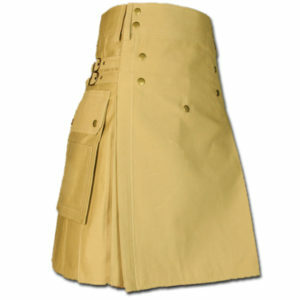 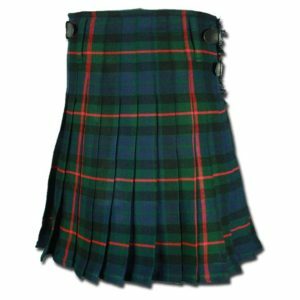 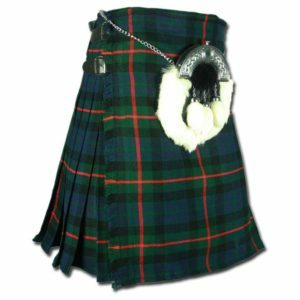 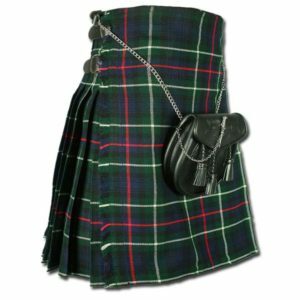 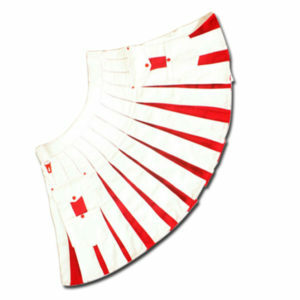 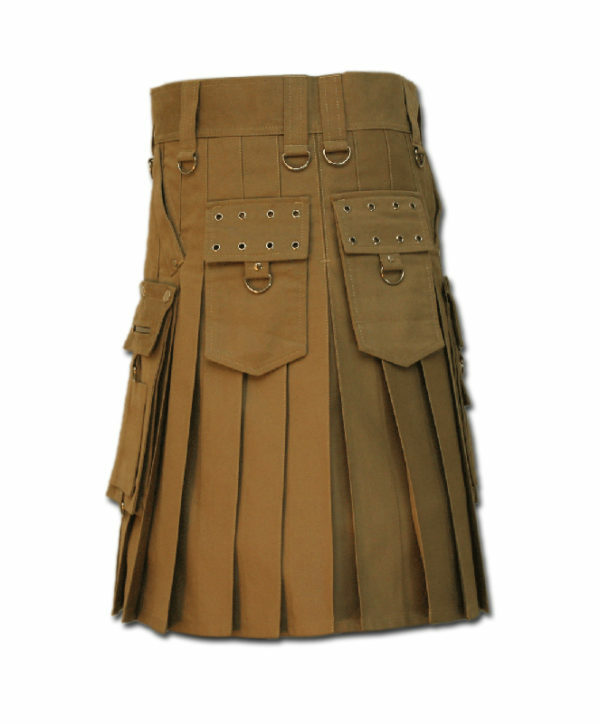 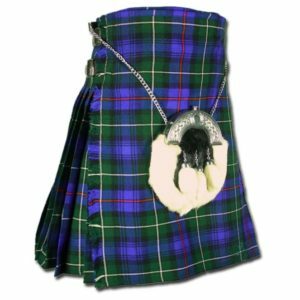 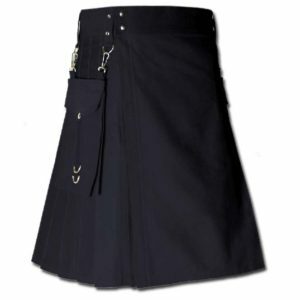 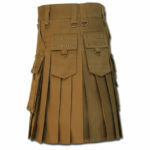 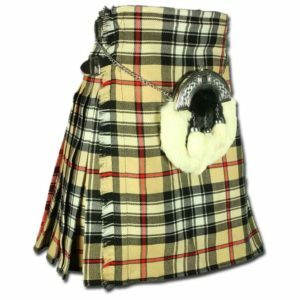 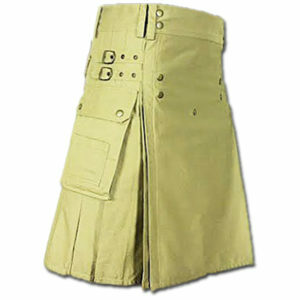 The traditional design of the kilt is combined with the modern Goth clothing style makes this Gothic fashion Utility kilt a get noticed kilt even in a huge crowd, with modified front apron cut this kilt possesses unique and outstanding look. 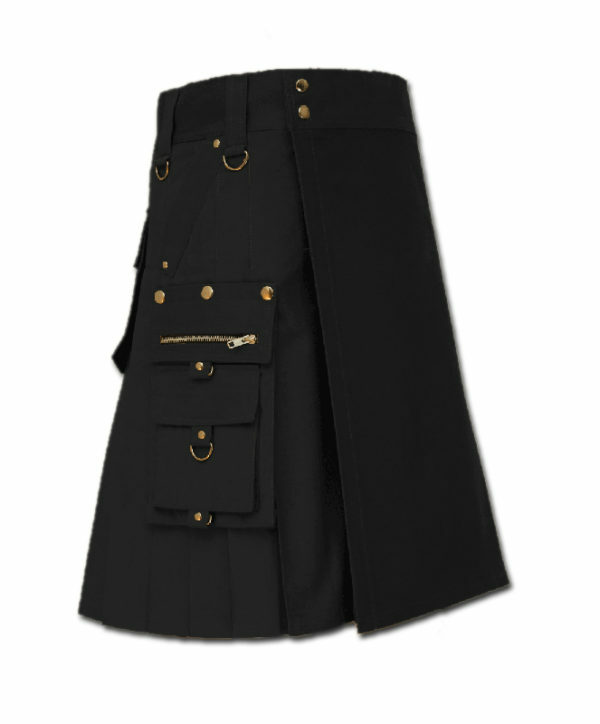 Its Heavy duty Drill cotton coat with lots of hardware made this a master piece in gothic clothing. 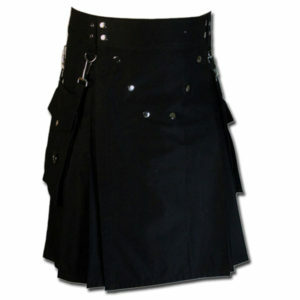 Gothic fashion Utility kilt is not even best for special occasions and but also could be worn on for daily routines and works with lots of pockets and partitions you can use these to put your belongings safe while heading out to work or to meet up for a party, you have no need to take your bags along to secure your essential like your wallet, keys and cell phone. 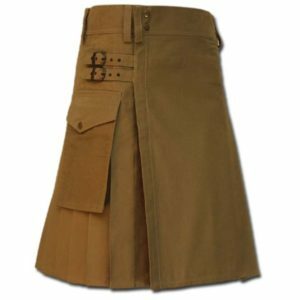 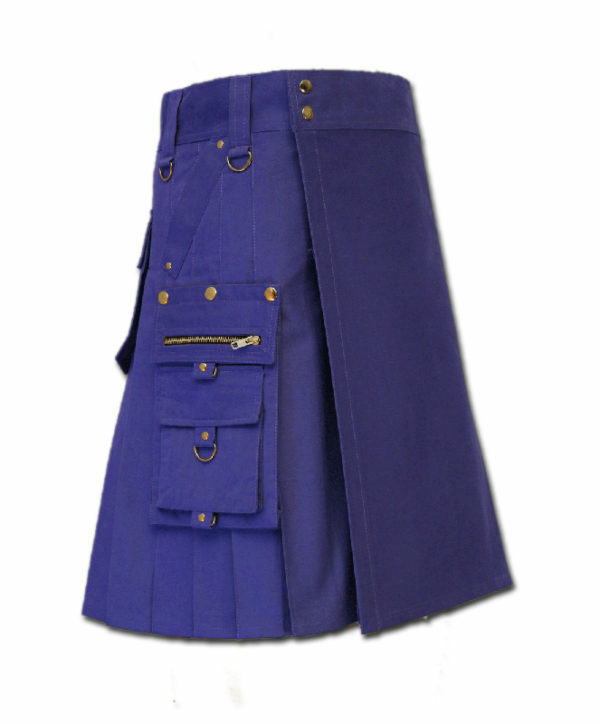 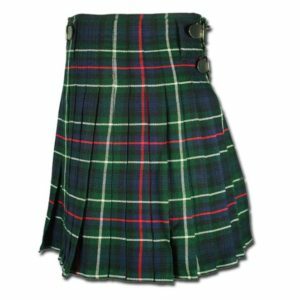 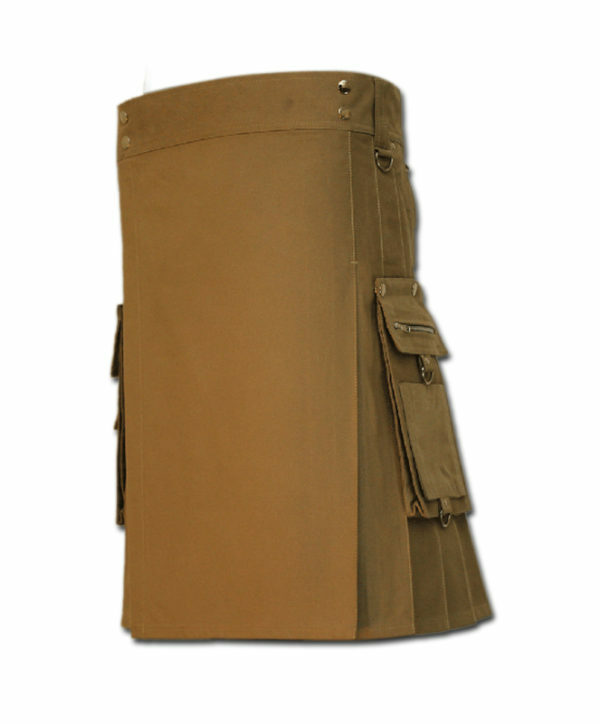 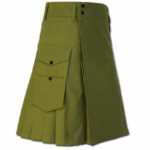 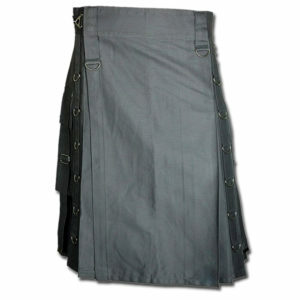 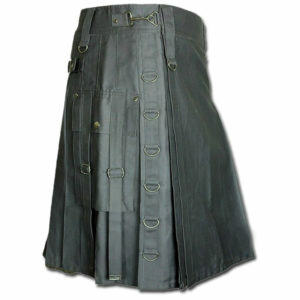 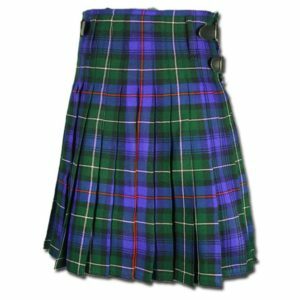 The Gothic fashion Utility kilt is the perfect Goth clothing, This kilt also features slash pocket along with cargo pockets which normally not a feature in kilts also improve your mobility and style. 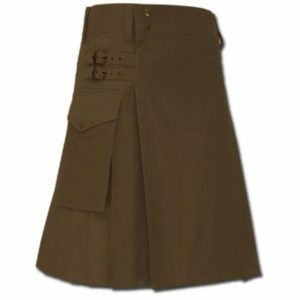 The cargo like pockets are also detachable so if you feel that you don’t need then while at work you can put off pockets for easy mobility, Easy to take off and to slip back in place, the pockets make this utility kilt a very versatile style. 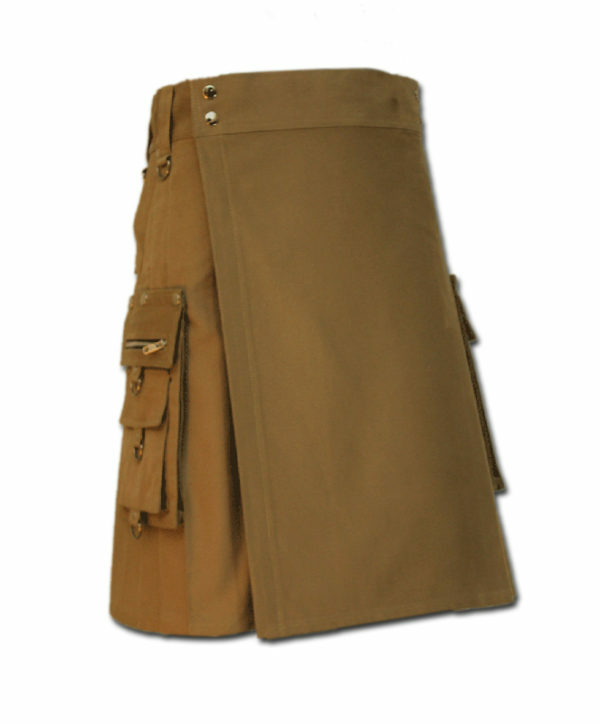 made out of heavy weight cotton drill Gothic fashion Utility kilt, is an ideal clothing for the stylish man or the dedicated working man while feeling confident and comfortable at work.